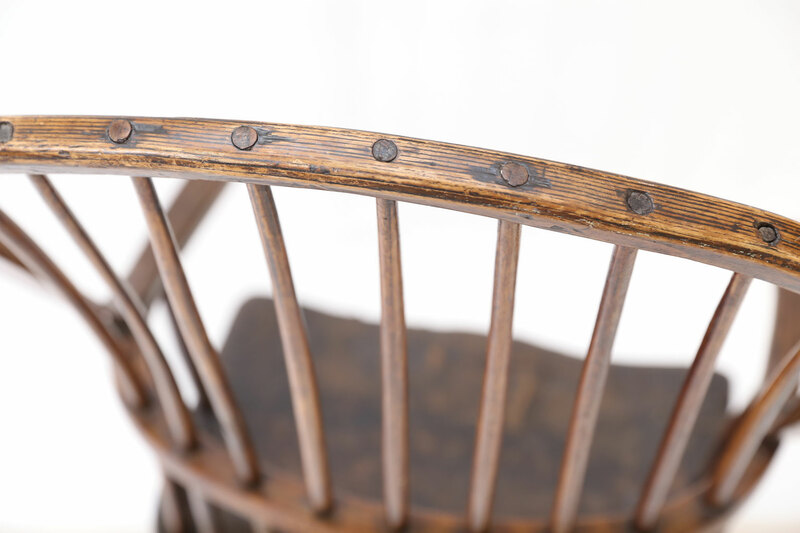 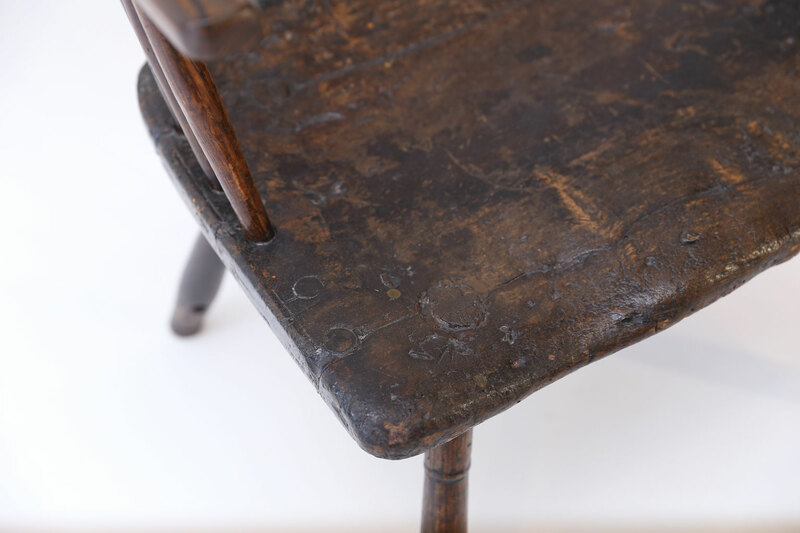 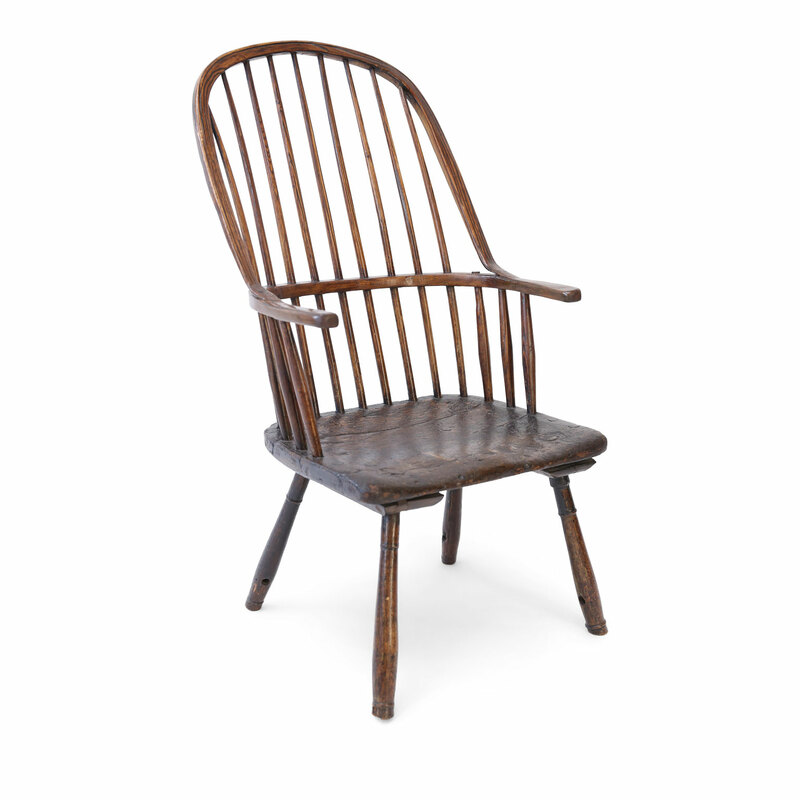 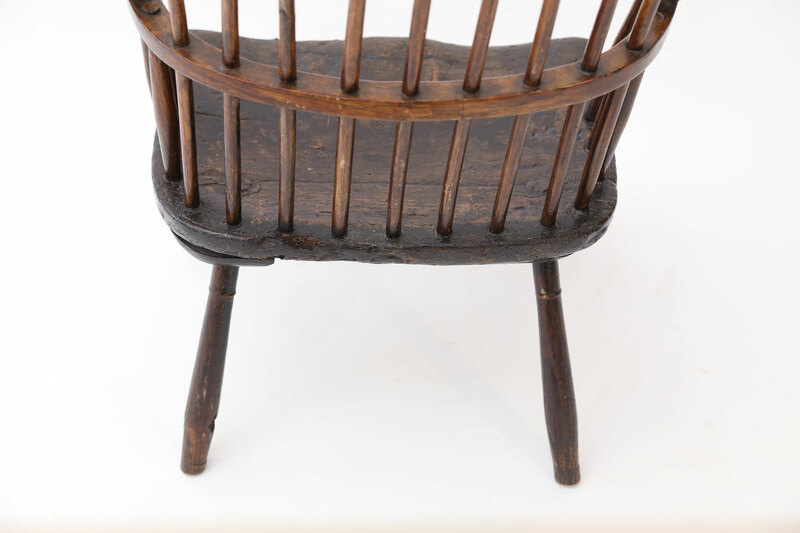 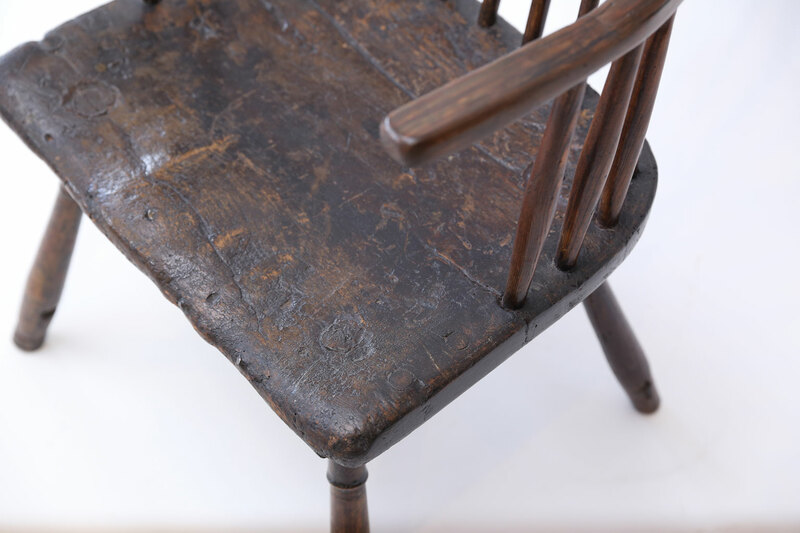 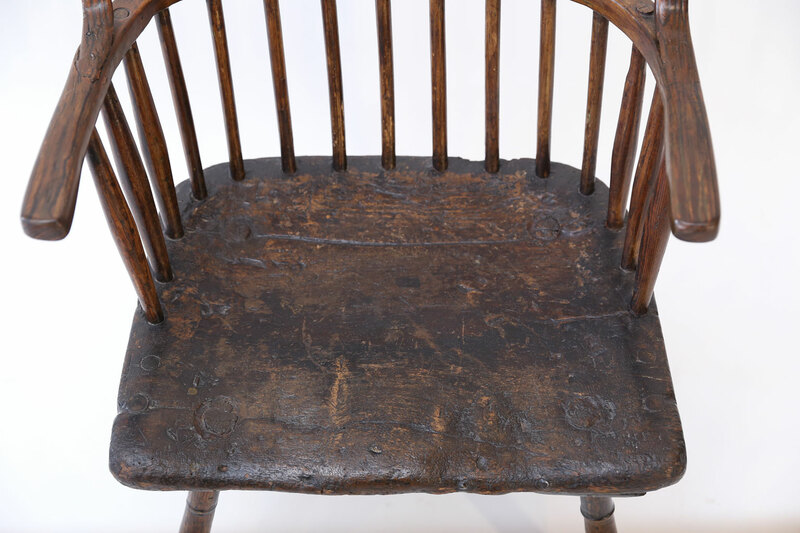 Primitive Windsor chair in yew and elm woods. 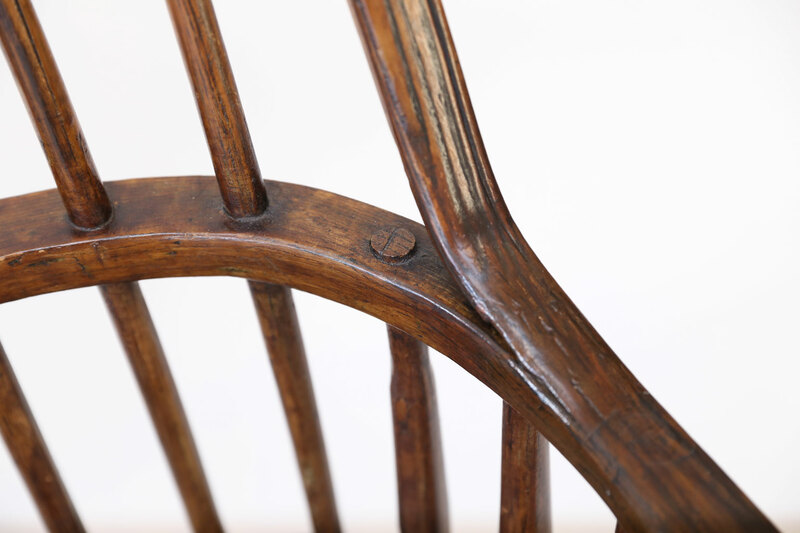 Very sturdy with some restoration to arms. 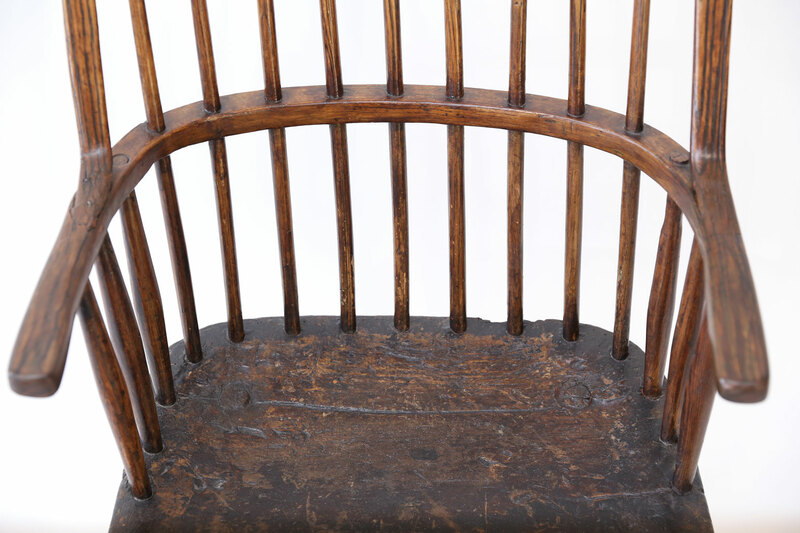 Constructed in a vernacular fashion about 1770-1790 in the vicinity of Somerset, England. 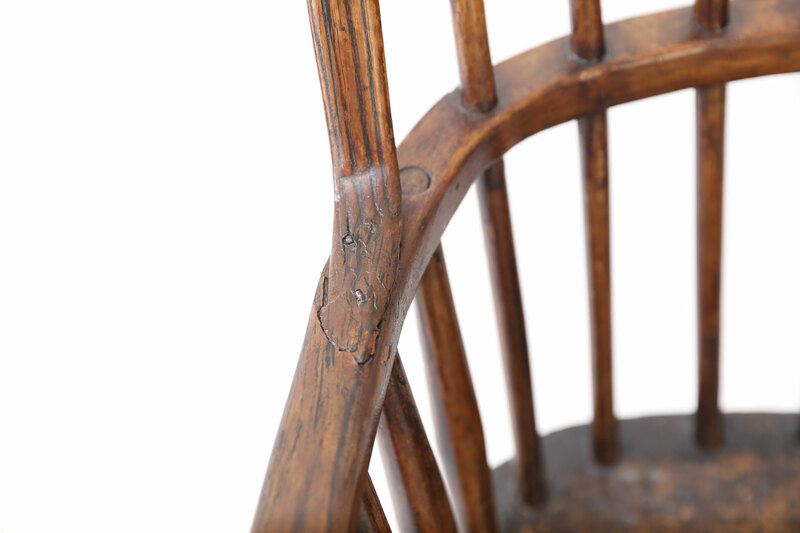 Condition: GoodStable, sturdy with some restoration to arms. 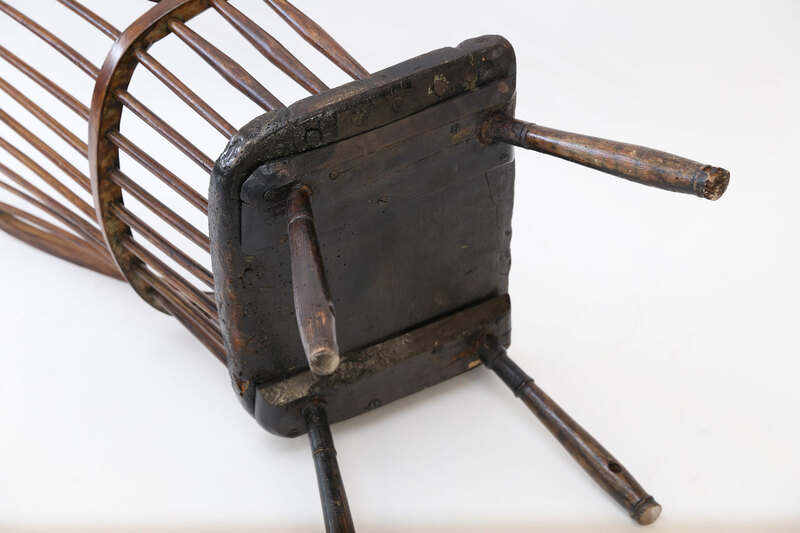 Seat measures 14 inches high x 20 inches wide x 14.5 inches deep, and arms are 23.25 inches high. 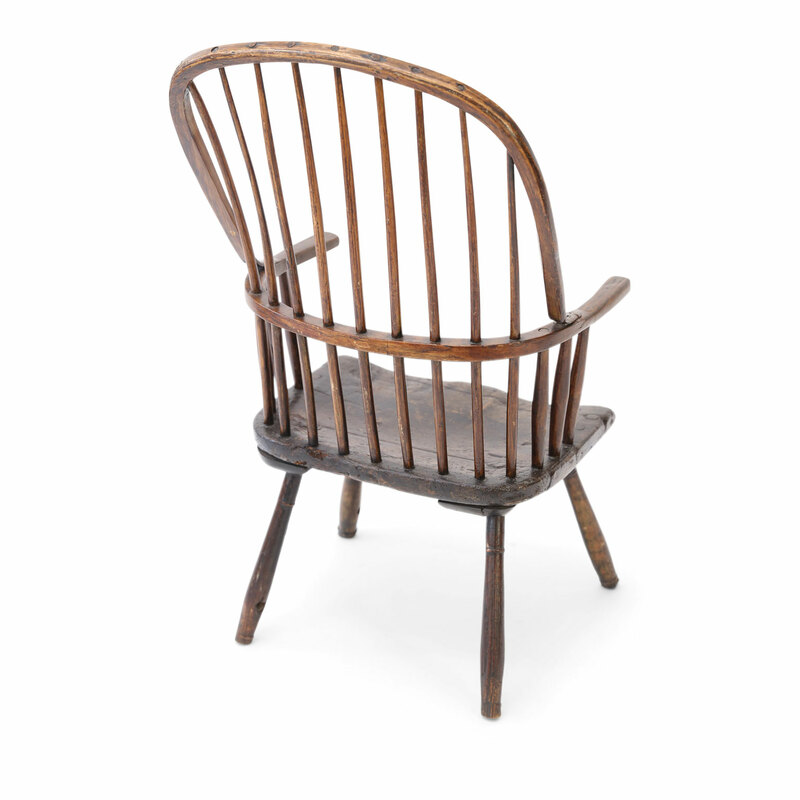 Primitive Windsor chair in yew and elm woods. 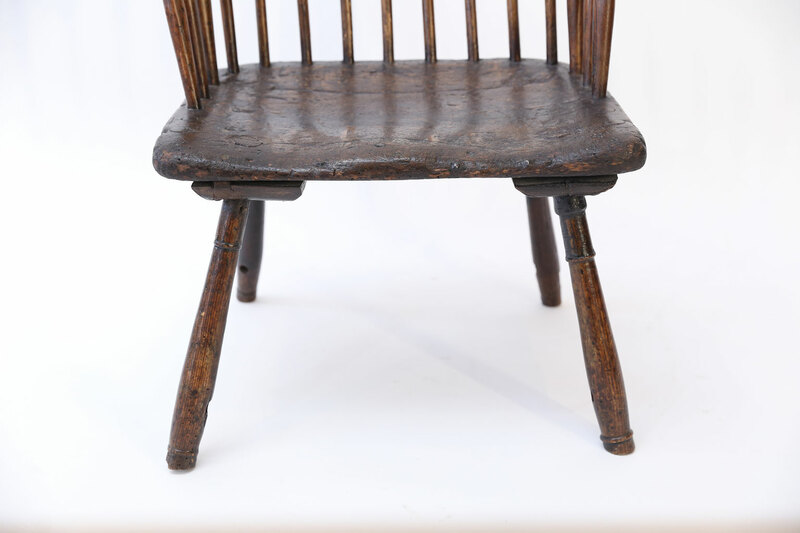 Constructed in a vernacular fashion, with asymmetrical back, about 1770-1790 in the vicinity of Somerset, England. 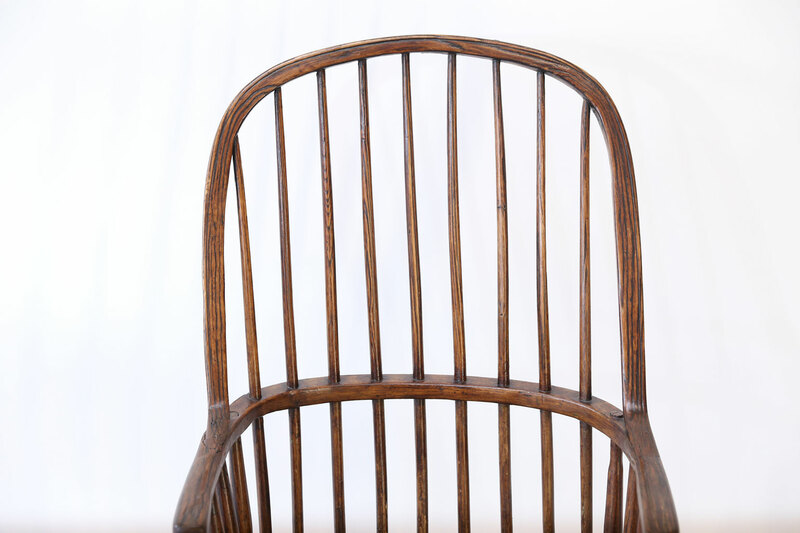 Materials: Elm and yew woods.